Compressed air is an important asset for powering tools and performing a variety of applications. 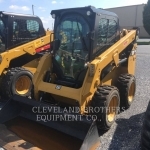 With over 70 years of experience serving hardworking businesses throughout Western and Central PA, Cleveland Brothers understands your need for accessing reliable and productive air compressors and attachments. If you require compressed air equipment on a temporary basis, our experienced team will help identify the rental solutions that meet your specific project requirements. Our late-model Sullair air compressors for rent provide impressive performance, durability and versatility. The Sullair line includes a variety of compressed air systems including oil-flooded, oil-free and high-pressure air compressor units powered by diesel, gas or propane fuel. We carry a complete range of tools and attachments to help you get the most out of your air compressor rental. 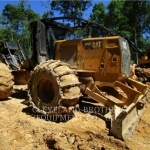 Available tools include jackhammers, clay diggers, rock drills, chipping guns, rivet busters and air tampers. All of our air compressor tools are strong enough to stand up to your toughest applications and work seamlessly with rental compressor units. 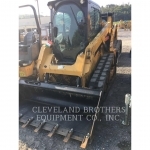 Cleveland Brothers is the convenient choice for air compressors for rent in Pennsylvania and Western Maryland, Northern West Virginia and regions beyond. 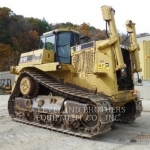 Renting from us not only provides a cost-effective way to access the equipment you require by the day, week, month or longer, but it also eliminates the costs of servicing, storing and transporting heavy equipment. Whether you have a one-time application for a rental air compressor tool or want to try a compressor before you buy it, we have your solution. 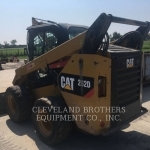 Contact our rental department directly to inquire about our current inventory and request a free quote.